Based locally in South London, Vale Vets have been serving pets and their owners in and around Wimbledon for 40 years. Our chief vet, David Salisbury-Jones, has worked her for over 25 years, leading a team of committed and friendly animal experts who provide exceptional veterinary care for pets large and small, young and old. At Vale Vets, we understand how important it is to offer fast and efficient access to care for your pet, whatever the problem may be. We are very proud to have built long standing relationships with all our patients, ensuring that your pet can lead a happy, healthy life. We have an excellent range of facilities at our disposal and can provide a wide range of veterinary services and the highest standards of care. Our passion for animal health and welfare is at the heart of everything we do. The team at Vale Vets knows only too well that pets are part of the family. This means that they deserve the same first class health care as all other family members. We pride ourselves in being able to provide a comprehensive range of health and wellbeing services designed to help ensure that your pets live long and healthy lives. Whether you’re looking for advice on how to settle in a new puppy or kitten, need help with flea control and worming, just want a general check-up or have concerns about unidentified lumps and bumps, Vale Vets are here to give expert advice and provide and efficient service every time. 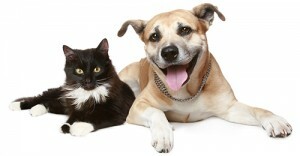 Why not visit our services page for more detailed information about what we can do for your pet? If you are worried about the cost of veterinary health care, we offer a pet care plan that’s affordable and provides real value for money. Suitable for cats, dogs and rabbits, the plan includes a range of free treatments including free check-ups and specific vaccinations, as well as a further 10% discount on all other treatments. Helping you spread the cost of healthcare treatment for your pet while saving you money, our Pet Care Plan could be the perfect answer. If you are planning to visit Vale Vets in person, you’ll find us easy to locate. You can get to Wimbledon Vale from Mitcham Lane and along Eardley Road. Alternatively take Glencairn Road off Wimbledon High Road, then under the railway bridge and right into Sherwood Avenue. At Vale Vents, we have have excellent free on street parking right outside the surgery, on Woodmansterne Road, or to the side on Farmhouse Road – approached via Abercairn and Granton Roads. Why no pop round for a quick vet check-up or use our available parking for longer appointments. For expert veterinary care for your pet from a friendly, experienced vet in Wimbledon, get in touch with Vale Vets today. You’ll find that we will happily go above and beyond to make sure your pet receives the best care and attention. For more information about any of our services, or to book an appointment for veterinary care in Wimbledon, please give us a call on 0208 679 6969 and a member of our team will be pleased to assist. You can also email your query to us at info@valevets.com.